A bike helmet saved a young boy from serious injury after a collision with a car in March. The nine year-old-boy was cycling on St John’s Road in March at 3pm yesterday (Thursday) when he was involved in the crash. A police spokesman said he suffered a slight injury, and was taken to Peterborough City Hospital for treatment. 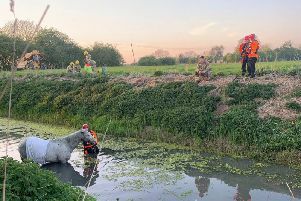 A tweet from Fenland police said the helmet the boy was wearing had prevented a more serious head injury.